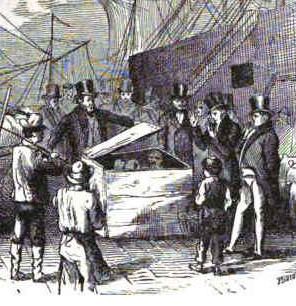 On September 17, 1841, an expressman picked up a crate on Maiden Lane in Manhattan and delivered it to the docks. The crate, addressed to New Orleans, was loaded aboard the packet Kalamazoo, scheduled to leave that afternoon. Inclement weather kept the Kalamazoo in port for a week and sailors started complaining of a foul odor coming from the hold. The crate was opened revealing a decomposing human corpse identified as New York printer, Samuel Adams. The man who had arranged its passage was John C. Colt, a bookkeeping instructor, client of Mr. Adams, and brother of the inventor of the Colt revolver. John C. Colt came from a family of achievers. His father was a successful Hartford, Connecticut businessman, his brother James was a judge in St. Louis, and his younger brother Samuel was the inventor of the Colt revolver. But John took a long time finding his place in the world and in his early life he was a bit of a rolling stone. At 14 he was apprenticed in a store but soon, at his own request he was sent back to school. Before graduating he ran away to Baltimore where he taught mathematics at a girls’ academy. He worked for a while as a surveyor. He joined the navy but didn’t like it and was released at his father’s request. He apprenticed at a law firm for a year then entered the University of Vermont. He went west and engaged in land speculation, then to New Orleans where he taught Chemistry and bookkeeping. Bookkeeping was the trade that stuck, and in Cincinnati John Colt published a book on bookkeeping that is still read today. John Colt moved to Manhattan and seemed ready to settle down. He rented an office in a building on the corner of Broadway and Chambers Street that also housed a school of bookkeeping and penmanship, and the office of printer Samuel Adams (not Boston patriot/brewer Samuel Adams who died in 1803.) For several months he had been living with a beautiful young woman named Caroline Henshaw. "I then sat down, for I felt weak and sick. After sitting a few minutes, and seeing so much blood, I think I went and looked at poor Adams, who breathed quite loud for several minutes, then threw his arms out and was silent. I recollect at this time taking him by the hand, which seemed lifeless, and a horrid thrill came over me, that I had killed him." 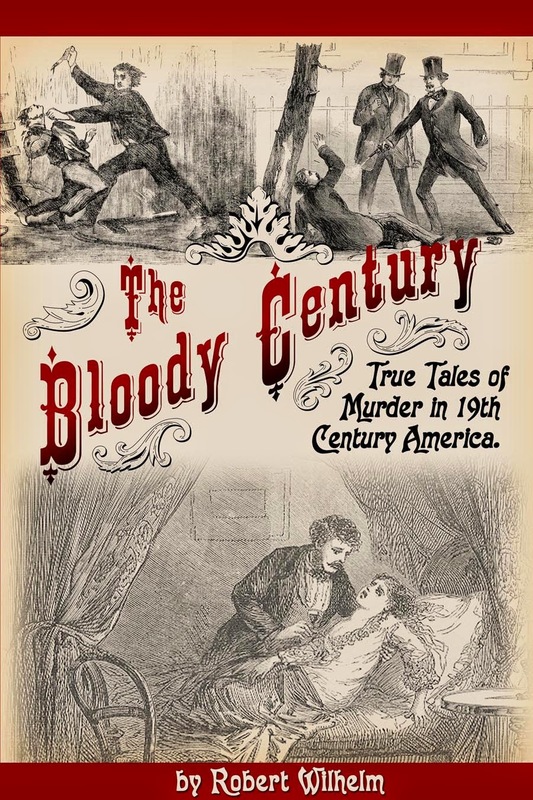 The blood kept pouring out of Adams and began pooling on the floor. Colt was afraid it would leak through the floorboards into the apothecary below. He began mopping up the blood with a towel and a bucket of water he kept in the office. During this time there were knocks on the office door which colt ignored. He cleaned up what he could then went to the City Hotel to seek counsel from one of his brothers who was staying there. He met his brother but seeing that he was engaged in conversation with two gentlemen he left without telling his story. 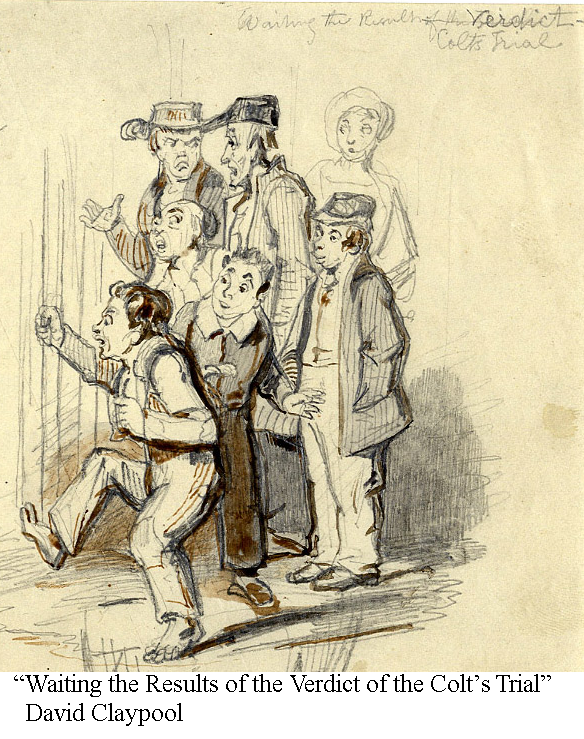 He next thought of going to the magistrate and confessing all, but did not want to submit his family to public scandal. He went back to his office and considered setting a fire, to consume the body along with the building, but rejected this plan after realizing the innocent lives that would be lost. He finally came up with a plan he thought was foolproof. He disposed of all items that would identify Adams, then packed his corpse into a shipping crate. He worked late into the night packing the crate and cleaning the floor and walls of his office. He dumped the bloody water into the gutter outside, then left the office and stopped at a bathhouse to clean himself and his clothes. When he returned home he told Caroline he was late because he had met a friend from Philadelphia. The next day he hired an expressman to deliver the crate to the peer. There he arranged to have it shipped to New Orleans on the packet Kalamazoo and from there to St. Louis. Colt returned to his office, thinking his problems were solved. They might have been solved if rain hadn’t kept the Kalamazoo in port for a week. The body began to decompose and the sailor complained of the odor in the hold. The odor was traced to Colt’s crate and it was opened revealing the rotting corpse. The shipping clerk remembered Colt, as did the expressman who led police back to his office. Adams’s disappearance had been reported by the press and it was ascertained that he was last seen alive in Colt’s office. It turned out that Colt’s actions the day of the murder had not been as clandestine as he thought. Asa H Wheeler, a teacher at the bookkeeping school, had heard a noise that sounded like “the clashing of foils” then a violent fall to the floor coming from Colt’s office and went to investigate. He looked through the keyhole and saw two men’s hats on the table and one man bending over something. He sent a student after a police officer who sent word back to keep watch, but that he would not dare break down a locked office door. Others had heard the sound of scrubbing coming from the office, and the sound of hammering; several had seen the crate addressed to St. Louis via New Orleans. When Colt was confronted, he confessed all. John C. Colt was arrested for the murder of Samuel Adams and sent to The Tombs – the New York City jail. Because of his confession, John Colt’s guilt in the murder of Samuel Adams was not at issue in the trial. What the prosecution attempted to prove was that the murder was premeditated. They had expert witnesses testify that the wound on the head could have been from a ball fired from an air gun. It would have produced a round hole, as was found in the skull, and the sound may have resembled the clashing of foils. The defense called the defendant’s brother Samuel to the stand to demonstrate that the power of a cap and ball pistol – the type the prosecution claimed Colt used – was insufficient to pierce the skull. In his demonstrations the guns had a loud report but were only able to penetrate a few pages of a book. In one experiment he caught the ball in his hand. Samuel Adam’s severed head was brought into the courtroom to be examined by the defense’s physicians in front of the jury. They concluded that the wound was consistent with the hammer the defendant claimed he used. Caroline Henshaw was called to testify to Colt’s behavior the night of the murder and to his general good character. The prosecution objected because they lived as husband and wife and if they had actually been married her testimony would not be allowed. In the end, the defense’s most compelling testimony was the statement written by John Colt and read in court by his attorney. He explained in detail exactly what happened in his office that day, what thoughts when through his head, and why he acted the way he did. It was not enough for the jury. They found John C. Colt guilty of willful murder. After a failed appeal, John Colt was sentenced to be hanged on November 14th 1842. John Colt and Caroline Henshaw requested that they be allowed to marry before the execution. The request was granted, and several hours before the scheduled execution they were married, with Colt’s brother Samuel and John Howard Payne, composer of “Home Sweet Home” serving as witnesses. After the ceremony the couple was allowed a few minutes alone. Just before the hanging was to take place, a fire broke out in The Tombs and it was feared that the prison would burn down. 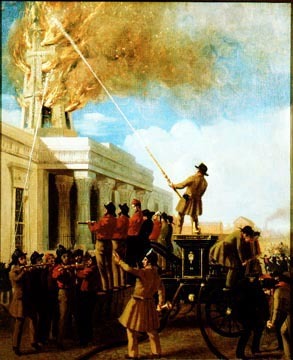 The execution was forgotten while firemen scrambled to put out the fire. Once the fire was under control, authorities hastily prepared for the execution. A clergyman went to Colt’s cell to console him but found him lying dead with a dagger in his heart. There were rumors following the event that Colt’s friends had set the fire and during the confusion he had escaped. They had left the dead body of another in his place. There was no proof to this claim; the only thing Colt had escaped was the gallows. John C. Colt's murder of Samuel Adams was immortalized by a mention in Herman Melville's story "Bartleby the Scrivner." MELVILLE, THE COLT-ADAMS MURDER, AND "BARTLEBY"
New York State Court of Oyer and Terminer. Trial of John C. Colt for the murder of Samuel Adams. New York: The Sun, 1842. Lawson, John Davison. American State Trials. Thomas Law Books, 1914. Tucher, Andie. 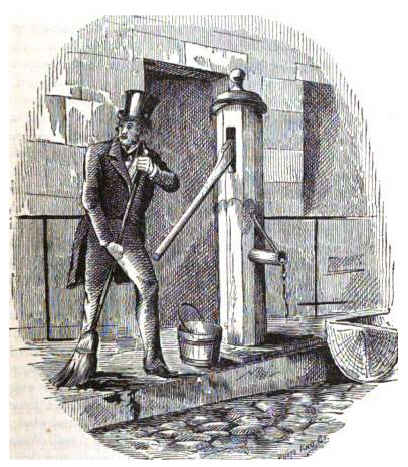 Froth and Scum: Truth, Beauty, Goodness, and the Ax Murder in America's First Mass Medium . Chapel Hill: University of North Carolina, 1994. Thank you for this account of Samuel Adams killing. "he was last seen alive it [sic] Colt’s office." "a ball fired form [sic] an air gun. It would have produced a round hold [sic]"
I love your website. Just wanted to make a note that you have the trial date as 1832 (not 1842). I know it's a typo because you have the dates correct everywhere else. Thanks for all your dedication! Thanks, I have made the correction. The next day he hired an expressman to deliver the crate to the peer. Probably not a member of the nobility. Yes, you have learned my secret. These posts are first drafts that are not well proofed. Please keep pointing out my errors if it makes you feel special. The story by Edgar Allan Poe, "The Oblong Box", may have been influenced by the incident of the secret attempt to ship Adams' corpse.